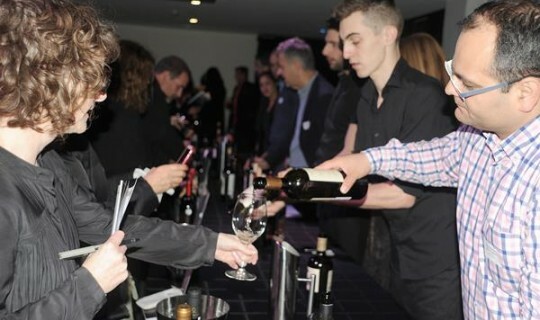 More than one hundred people had a unique opportunity to taste high quality new Greek wines in a special wine tasting event organised by the Consulate General of Greece in Melbourne and the Greek Community of Melbourne, on Wednesday evening. The event was also attended by Diplomatic representatives and Greek winemakers who spoke to the public about their wines, which are considered amongst the best new products in the Greek wine market. Overall 20 wineries, covering all the geographical regions of Greece, took part in the event which was initiative of the "New Wines of Greece" organisation. The event was also attended by representatives of our diplomatic missions and Greek winemakers who spoke to the public about their wines, which are considered among the best new products in the Greek wine market. Overall were presented wines from 20 wineries from Peloponnese, North Greece, Santorini, Crete and other islands. It must be noted that this is the second visit of Greek winemakers to Australia organized by the "New Wines of Greece" organisation.